Published: Tuesday, April 15, 2014 at 11:00 p.m.
Last Modified: Tuesday, April 15, 2014 at 11:39 p.m. 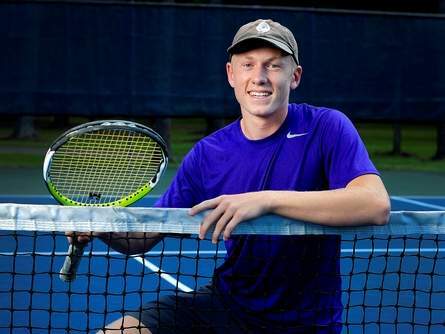 The Eastside boys tennis team fell short in its effort to unseat defending Class 2A state champion Pinecrest Gulliver Prep on Tuesday, losing four singles matches and both doubles to the Raiders at Red Bug Lake Park in Casselberry. Trailing Gulliver Prep’s 19-point total, the Rams finished as runners-up with 12 points, their highest finish since winning the 3A championship in 2000. 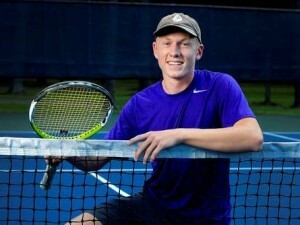 Eastside advanced four players to singles finals before losing in straight sets to Raiders players, including freshman Benjamin Brandt at No. 2, Maxwell Curtis at No. 3, Hyunsoo Joo at No. 4 and Samuel Cockey at No. 5. Cockey gave Gulliver Prep the toughest match of the finals, pushing Robert Rogue in a 7-6 (1), 7-6 (5) defeat. In the No. 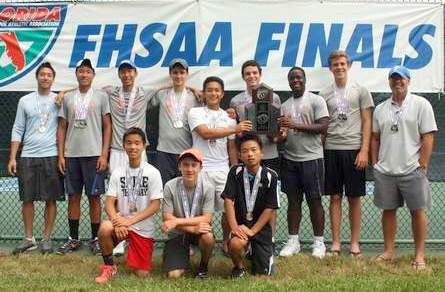 1 doubles final, the Rams’ top pairing of Curtis and Joo dropped a 6-1, 6-3 match to the Raiders’ Baker Newman and Chase Perez-Blanco, a UF signee, after winning their semifinal match against Tampa Jesuit’s Max Azzarelli and Palmer Evans. Eastside’s No. 2 doubles team of Brandt and Derek Li also stumbled against a Gulliver Prep pairing, losing a 7-6 (5), 6-1 match to Robert Rogue and Andre Libnic.